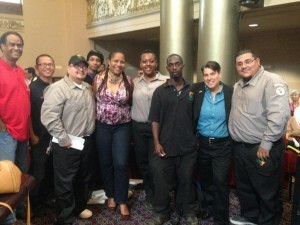 Oakland Unite would like to congratulate Civicorps, an Oakland Unite funded partner in our Young Adult Reentry Services strategy, for unanimously winning the Oakland City Council’s vote and being awarded a contract to collect garbage, recycling and organics, along with EBMUD and California Waste Solutions in the city. Civicorps was recognized for their achievements and innovation in creating new career pathways for young adults in Oakland. Using this contract Civicorps will be able to expand their Class B Driver Training Program and create additional positions for program graduates. 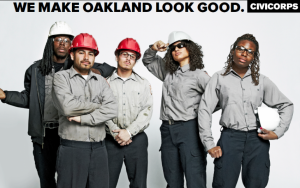 This program is a national model for how to use a garbage franchise agreement to create pathways for low-income young adults while at the same time providing positive environmental outcomes for the entire city.